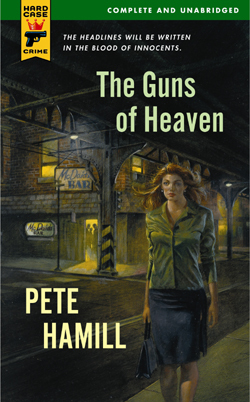 Book Reporter on THE GUNS OF HEAVEN: "Hamill proves again here why he is one of our greatest writers...The book contains some of Hamill’s most passionate and powerful writing. It is a joy to read." "Hits a reader like a left hook." "Besides being one of America’s most famous journalists, Pete Hamill is one of our greatest living writers. He is a master." "I couldn’t read it fast enough...[That’s] the reality of Peter Hamill’s brilliance."